​Who Wants to Buy Piss Christ This Thursday? 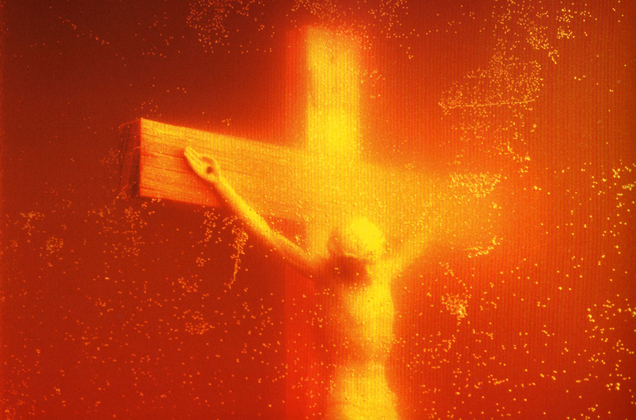 The usually tedious one-man morality crusade Bill "Catholic League" Donohue sends along a genuinely valuable tip: On May 15, this Thursday, Sotheby's will be auctioning off a copy of Andres Serrano's Piss Christ, the maximum icon of the old Culture Wars of 25 years ago. Ask your middle-aged uncles and aunts about it. This was the realest of real deals: Serrano went onstage at Radio City Music Hall and urinated onto the actual body of Jesus Christ, spelling out the words "I AM A PERVERT" with the stream, and took a Polaroid of it, which he taped to the barrel of a rifle that he then shot at the pope—the true pope, not this new weird be-nice-to-people pope. And the United States taxpayers funded the whole thing. You can look it up. Anyway: It is Lot No. 496, at Sotheby's. Print No. 7/10, 45 and a quarter inches by 32 and three-quarters inches. In the artist's frame. It is, as not many people were interested in discussing at the time, an aesthetically lovely photograph, the image of the crucified Christ awash in vivid red-gold light. (Perhaps Serrano was a little dehydrated?) The official price estimate is $100,000 to $150,000. It would look great on the wall of the Gawker newsroom, or in Nick Denton's living room—or yours! • Is a cheap plastic crucifix identical to the person of Jesus Christ? 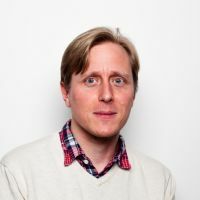 • How is our appreciation of religious beauty influenced by our knowledge of the material circumstances behind it (e.g., the artist's use of urine as a material, the violent appropriation of Moorish sacred architecture for Christian use)? • If God is everywhere, does that mean God is in urine? • Can an image created from "unclean" material and a mass commodity, presented under a scatological title, nonetheless be read as devotional, in the light of Christ's ministry to the poor, the leprous, and various other despised persons? • Is Bill Donohue best understood as a performance artist? • Can we borrow $150,000?